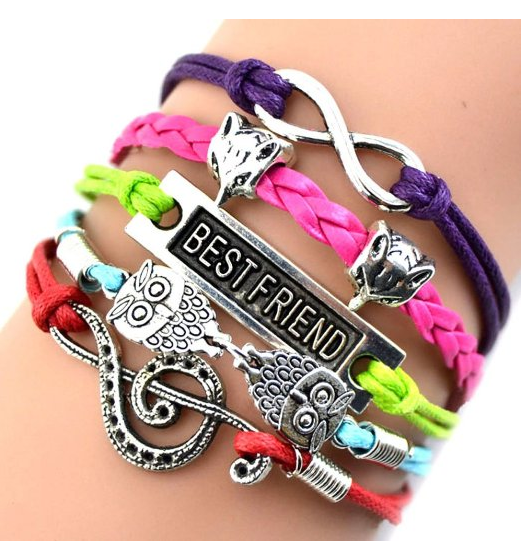 Colorful Bracelet Band Set Only $1.34 + $1 to Ship! You are here: Home / Great Deals / Amazon Deals / Colorful Bracelet Band Set Only $1.34 + $1 to Ship! symbol and “best friend”. Perfect for trading among friends! Get this Colorful Bracelet Band Set for Only $1.34 + $1 to Ship!